Aspenface is an experiment Located at the Harshaw Experimental Forest near Rhinelander, Wisconsin. 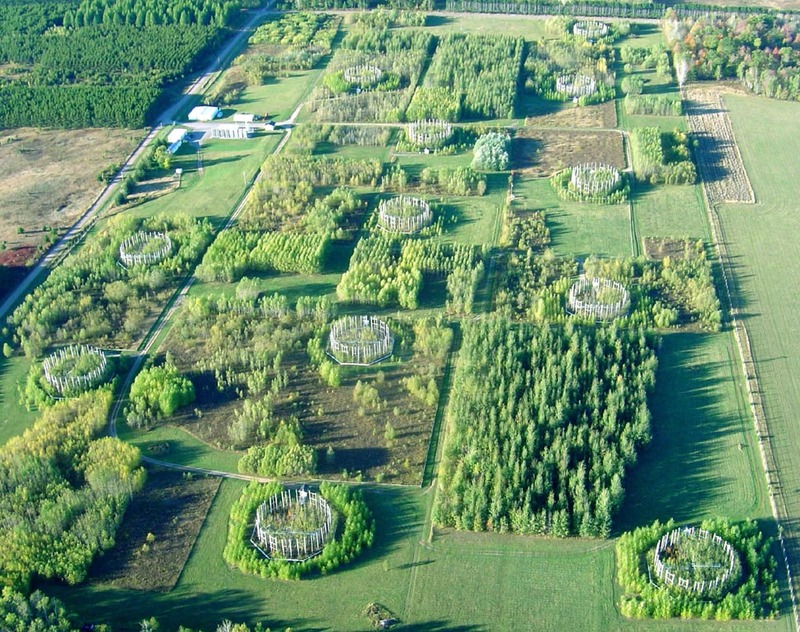 The experiment is a multidisciplinary study to assess the effects of increasing tropospheric ozone and carbon dioxide levels on the structure and function of northern forest ecosystems. Each ring consists of a series of vertical ventpipes which disperse carbon dioxide, ozone or normal air into the center of the ring. This computer controlled system uses signal feedback technology to adjust gas release each second in order to maintain a stable, elevated concentration of carbon dioxide and/or ozone throughout the experimental plot. Because there is no confinement, there is no significant change in the natural, ambient environment other than elevating these trace gas concentrations.